The political economist on Trump’s election, why we should be happy about Brexit and the crises facing western democracy. Before capitalism will go to hell, it will hang in limbo from an overdose of itself’ … Wolfgang Streeck. The Greek crisis will flare up again. And why should it not? With ongoing austerity and low demand, Greece was never going to manage any sort of growth or budget surplus. Greece has ceased to make headlines. (...) there were fears that a crisis that had been steadily becoming more acute in the first half of 2015 could result in the single currency splintering. That threat was removed by a deal that involved a humiliating climbdown by the Syriza-led government. 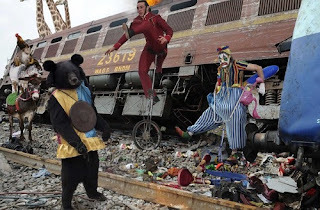 Greece received a bailout, but with harsh conditions attached. Unfortunately, lessons have not been learned. The 2015 bailout package assumes that Greece will run a budget surplus, once debt interest payments are excluded, of 3.5% of GDP year in and year out. The IMF, which now has a more realistic assessment of Greece than the commission or the ECB, says few countries have managed to sustain budget surpluses of this size, and that Greece could do so only by further cutting wages and pensions. The IMF also thinks “it is no longer tenable” to imagine that Greece can move from having one of the eurozone’s weakest productivity growth rates to the highest. The IMF says that without debt relief, Greece’s debt could hit 250% of GDP by the middle of the century. Germany would prefer those discussions to be delayed until after its election in autumn next year. But the chances are that Greece will be back in the headlines before then. For the first time in Greece a documentary produced by the audience. 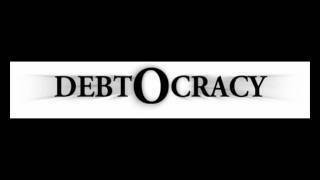 "Debtocracy" seeks the causes of the debt crisis and proposes solutions, hidden by the government and the dominant media. An Economic Hit Man Speaks Out: #john #perkins on #how #greece has #fallen #victim to " #economic #hit #men". #money only works as long as we believe in it. in that sense, #dollars and #euros are equal. but as brandon points out, the system is only held together by fantasy. 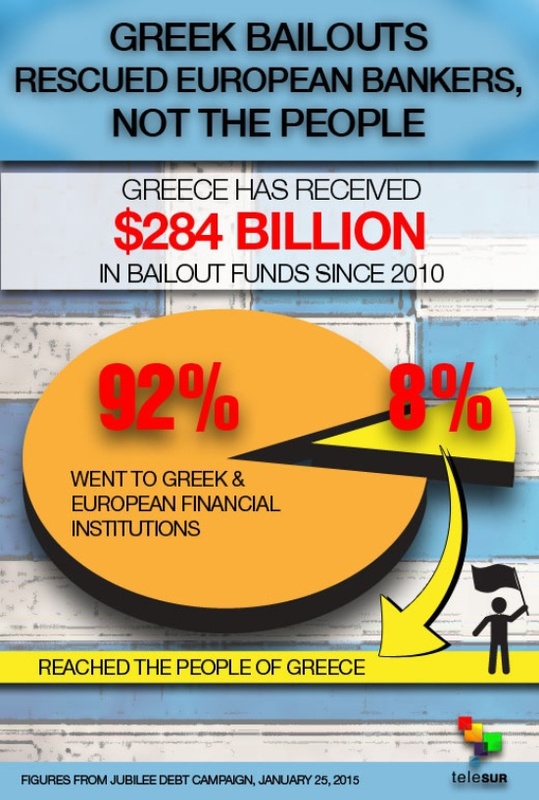 A dishonest narrative is being perpetuated by the establishment that if Greece falls, defaults or leaves the EU, this could trigger a domino effect of other nations hitting a debt wall and following suit. 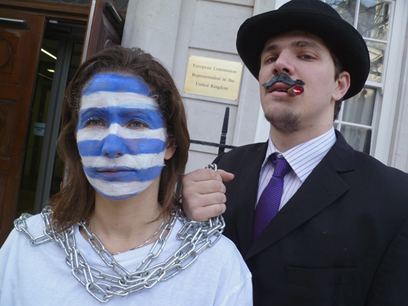 Global Justice Now : "Greece has been victim of some of the most brutal austerity of modern times, suffering mass unemployment, rocketing rates of suicide, murder, HIV infection, depression, drug use, and homelessness. But this great depression could have been avoided, if the lives of Greece’s people had been put before the profits of European banks. " In fighting against the most brutal austerity in Europe, the Greek people are engaged in a epic battle for the future of European democracy. All anti-poverty campaigners must stand with them. In #Glasgow today, #Scotland United Against #Austerity rally, against the #Tory cuts and with solidarity to #Greece, who were presented as an example against austerity, the bankers and the #IMF. Greece is drawing up drastic plans to nationalise the country's banking system and introduce a parallel currency to pay bills unless the eurozone takes steps to defuse the simmering crisis and soften its demands. "We may have to go into a silent arrears process with the IMF. This will cause a furore in the markets and means that the clock will start to tick much faster," the source told The Telegraph. Syriza's radical-Left government would prefer to confine its dispute to EU creditors but the first payments to come due are owed to the IMF .